Rectangular in shape and measuring 9 feet by 23 feet, the Red Hill Park Pavilion is constructed of unrusticated and uncoursed native sandstone. It is enclosed on three sides, the west one of which contains a large fire place and chimney. The side wall includes two window openings without panes. The pavilion is covered with a gabled roof of wood shingles. The pavilion is situated on an overlook high above the Canadian River. The Red Hill Park Pavilion is significant because it is the only intact structure remaining of a remarkable recreational facility created by the WPA. Included within the park were tennis courts, a swimming pool, a caretaker’s cottage and other picnic facilities. 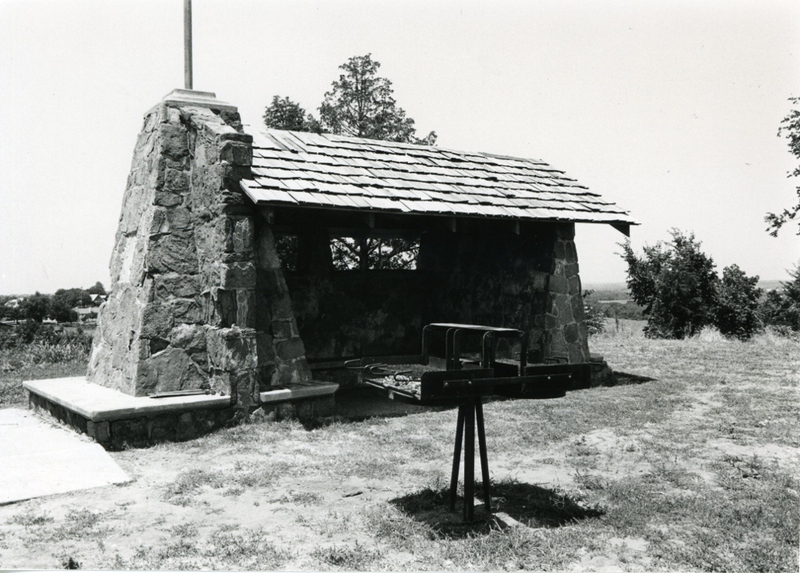 The pavilion, then, suggests the comprehensiveness of WPA recreational construction in Purcell and elsewhere and demonstrates the agency’s concern for the total development of humankind. A recreational project was for it a “useful” project. Among the earliest WPA activities in the community, construction of the pavilion and adjacent park also provided some economic relief to destitute workers who had long been unemployed and on relief rolls. Construction brought food and some self-respect. VERBAL BOUNDARY DESCRIPTION: Lots 5 and 6, Block 30, Purcell original plat.